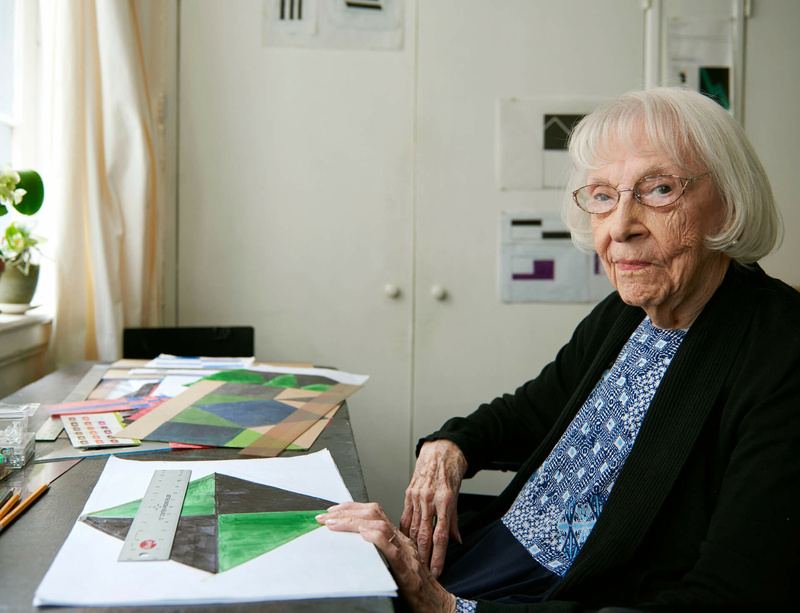 Lisson Gallery would like to congratulate Carmen Herrera on her 100th birthday on Sunday, 31 May. This year her painting Blanco y Verde (1959) is on view in ‘America is Hard to See’, the inaugural exhibition at the new Whitney Museum of American Art. The Whitney will further spotlight Herrera’s work with a solo exhibition in 2016, curated by Dana Miller. In continuing the celebration of her centennial, Lisson Gallery is pleased to announce a solo presentation of Herrera's work at Frieze Masters 2015, taking place 14–18 October 2015 in London. Film director Alison Klayman, best known for her award-winning feature Ai Weiwei: Never Sorry, has been working on a documentary about Herrera. Titled The 100 Year Show the film has recently been screened at film festivals in Toronto and Tel Aviv and will be released later this year.